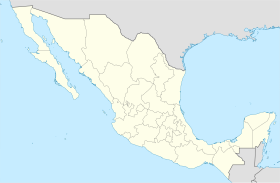 Asientos is a municipality and town in the Mexican state of Aguascalientes. It stands at 22°14′N 102°05′W﻿ / ﻿22.233°N 102.083°W﻿ / 22.233; -102.083. The town of Asientos serves as the municipal seat for the surrounding municipality of Asientos. As of 2010, the municipality had a total population of 45,492. Other than the town of Asientos, the municipality had 250 localities, the largest of which (with 2010 populations in parentheses) were: Villa Juárez (4,888), Ciénega Grande (3,348), classified as urban, and Guadalupe de Atlas (2,259), Lázaro Cárdenas (1,583), Pilotos (1,331), Bimbaletes Aguascalientes (El Álamo) (1,223), Molinos (1,219), El Tule (1,189), Noria del Borrego (Norias) (1,186), Licenciado Adolfo López Mateos (1,074), and Jarillas (1,041), classified as rural. The government of the municipality consists of the City Council, which is made up of a municipal president, a trustee and a council composed of nine members, five elected by relative majority and four by proportional representation. The city council is elected by universal, direct and secret vote in elections held on the first Sunday of July of the corresponding year. ^ a b "Asientos". Catálogo de Localidades. Secretaría de Desarrollo Social (SEDESOL). Retrieved 23 April 2014. ^ Instituto Nacional para el Federalismo y el Desarrollo Municipal. "Periodos de gobierno municipal". Archived from the original on June 16, 2011. Retrieved February 19, 2011. This article about a location in the Mexican state of Aguascalientes is a stub. You can help Wikipedia by expanding it. This page was last edited on 14 August 2018, at 16:48 (UTC).